POMPANO BEACH, Fla. /Florida Newswire/ -- After several national media outlets ran headlines questioning the future of the craft brew industry, Farrell Tiller of Redevelopment Management Associates interviewed leading craft brew experts to discuss the industry's growth potential in Florida. Tiller also recently travelled to Nashville for the National Craft Brew Conference to meet with leading breweries. His research supports RMA's experience that Florida is an underserved market; therefore, cities should utilize the craft brew industry as an economic development strategy to reinvent blighted downtown areas and spur growth in more suburban settings. "While states that entered the craft brew scene early may be reaching saturation, Florida has tremendous opportunities for growth," said Tiller. "The state is ranked number 42 in breweries per capita, so it is important for local government agencies to pay attention to their local market conditions rather than national trends." For RMA, this means educating local government officials about the benefits of creating an environment that welcomes this industry as a real catalyst for economic growth. As the state's leading economic development firm, RMA has successfully utilized this strategy. Most recently, the firm guided North Miami Beach in the development of the state's first Brewery District with significant targeted incentives to attract craft breweries. And they are currently exploring the introduction of craft breweries as part of the redevelopment of other city-clients, building on previous work with breweries such as Funky Buddha and 26 Degrees. To provide RMA's city-clients a more comprehensive understanding of the economic development potential of the craft brew industry, Tiller recently conducted interviews with Bart Watson, Chief Economist at the Craft Brewers Association and beer industry expert Matt Simpson, known as The Beer Sommelier. "Every market is different, and to get to the highest levels of brewery concentrations that we have in places like Colorado, Vermont or Washington, it takes work and market building," said Watson. "I think the last time I pulled the numbers, we had 46 breweries in Boulder County, and have about 300,000 people, so you can see that once the market building has been done, very dense concentrations of breweries can exist and be successful. I can't imagine there are many markets in Florida that have reached anywhere near that point of per capita brewery levels, so it is important for cities to focus on local and state market characteristics rather than broader national trends." In many cases, alcoholic beverage establishments have historically been viewed by local governments as nuisances and as a potential cause of problems; thus many municipalities' regulations are prohibitive to the development of a brewery. Tiller addressed this issue with Simpson. "There are residents and city staff who do not understand breweries," said Simpson. "They think, 'Oh, this is just another bar. We're a suburban community with families. We don't want another nuisance around here.' I think part of it stems from the fact that they are just unfamiliar with the whole thing. To get past the fear, draw them a picture, an accurate visual picture, even with a video, about what some of these brewpubs look like, the people they attract, and how it is going to be good for them because they're going to be bringing money into their community." RMA's research shows that there are only four breweries west of I-95 in Broward County, an area of 1.5 million people. 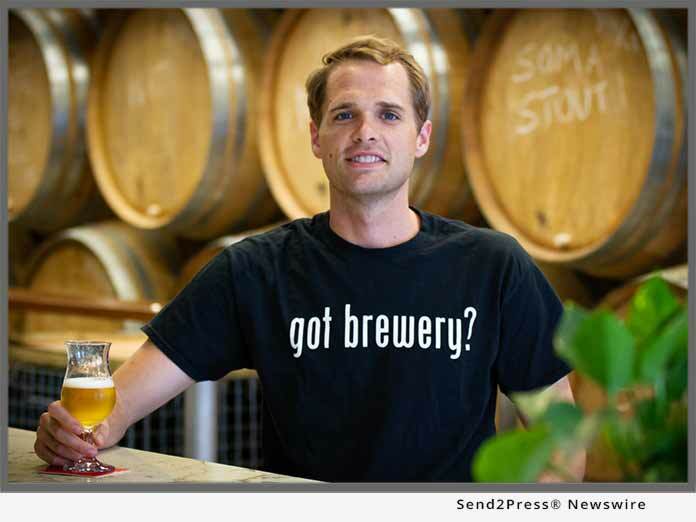 According to Matt Simpson, there should be five breweries in a city of 90,000 people. However, RMA has noticed the challenge for suburban breweries, especially in South Florida, is that the traditional bedroom communities lack the character and authenticity that breweries look for. However, at the Craft Brew Conference Tiller noticed a shift in that trend. "Brewers were definitely interested in hearing about expansion possibilities outside urban communities and into communities such as Davie, Sunrise, Lauderhill and North Lauderdale. This is where the true potential lies in Florida," said Tiller. "With our city-clients, we will be working with them to create receptive environments and adjust zoning regulations to attract the industry." Watson shared with Tiller that Florida's diversity also expands the industry's potential. "I think there's still a lot of room there; particularly in states that are more diverse. There's clearly a huge growth opportunity for breweries to break out of the more typical, white male, fairly wealthy craft demographic," he said.